A vacation house for sale in Tagaytay is one of the best places to spend a nice, quiet weekend with your family or by yourself. Tagaytay is host to a lot of tourist spots, cool weather and lush flora and fauna, making your vacation memorable. Recently, though, the rainy season is rapidly approaching but that doesn’t mean you can’t enjoy your vacation house. Because one of the best ways to overcome your rainy day blues is to…eat. 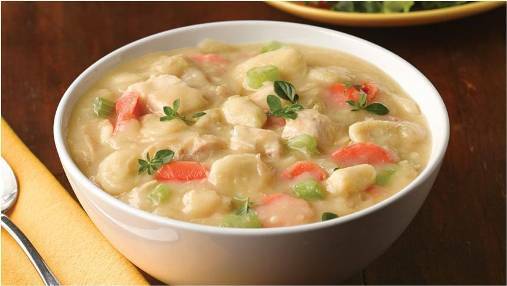 This generous serving of soup with meat and vegetables is hearty enough to be a full meal. Chicken soup has always been one of the favorite comfort food classics but add some dumplings in and you’ve just upgraded this meal from A to A+. Everyone must’ve heard of ramen but have you ever tried sukiyaki before? 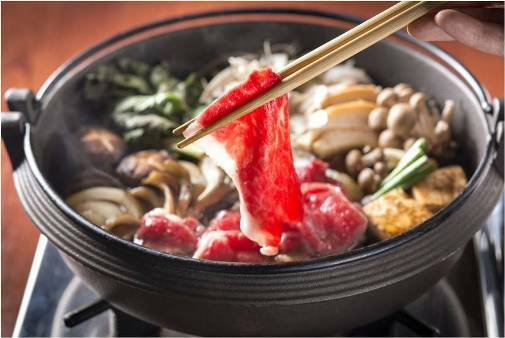 Sukiyaki is a popular Japanese one-pot meal that consists of thinly sliced beef, glass noodles, carrots, mushrooms, and tofu. The dish is then topped with raw egg and a sweet, flavorful broth. With a diversity of flavors in one simmering bowl, every bite is guaranteed to be heavenly. Who can forget this rice cake wrapped tightly in leaves? Filipinos have been making this kakaninsince the pre-colonial times as offering to the gods. Pair this up with some sugar or latik, which is a syrupy, caramelized coconut cream mainly used as dessert sauce. Or, you can whip up some hot chocolate before getting your favorite snuggly blanket. Yes, it’s bliss. If you are a big fan of ginataang halo-halo, why not try ginataang mais? 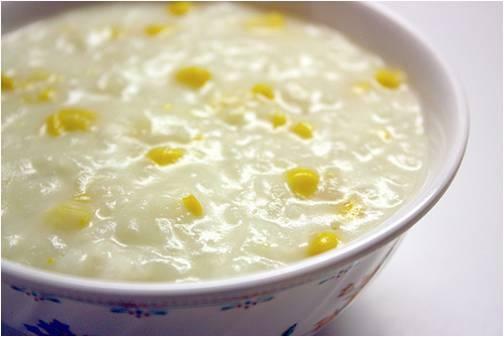 Made from whole kernel corn and coconut milk, this decadent dish is considered as a comfort food by many Filipinos. This dessert is similar to Maja Blanca but its texture is the same as goto or arrozcaldo. 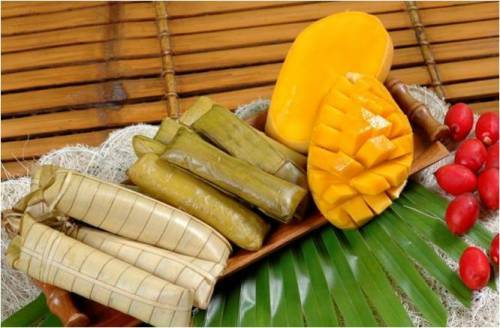 You can enjoy ginataang mais as a breakfast or as an afternoon snack. Enjoy it as it is or add a dash of coconut milk on top for an extra flavor. Nothing can beat this bowl of ultimate chocolate goodness. 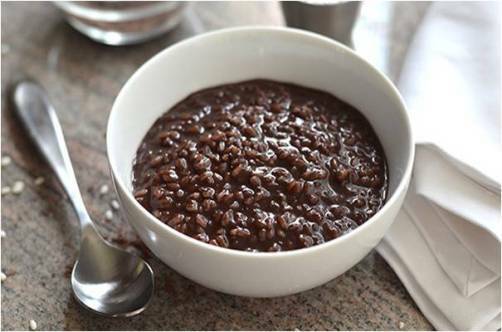 This rice porridge is made from glutinous rice (or malagkitin the local dialect) and cocoa powder. There are people who use tablea in the place of cocoa powder. Don’t forget to fry up a couple of this dish’s famous partner: tuyo. A hot, delicious meal after a hard day at school or work is probably one of the best things that can happen to you during a rainy day. Eating is one of the ideal ways to relax and enjoy the rest of your day. So head over to your kitchen and start cooking right now!